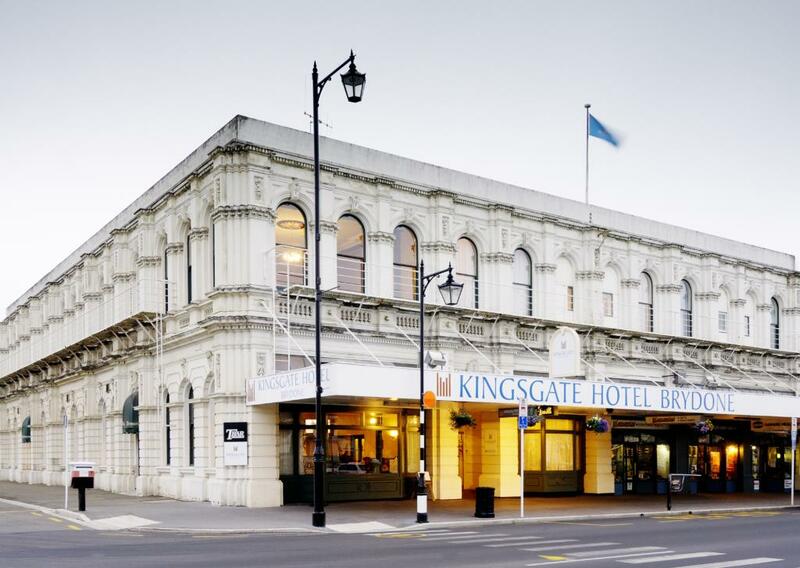 Brydone Hotel Oamaru is a delightful hotel built with carved Oamarau Limestone in 1881. From the moment you step inside the enchanting hotel you will be transported to another time, where a soaring staircase, grand chandeliers and ornate interiors represent the epitome of fine accommodation. This New Zealand accommodation offers guests a choice of 49 rooms and suites. The beautiful architecture of a bygone era has been enhanced by incorporating today's modern features and warm colours. Enjoy a meal at the T Bar Restaurant which is open from 6.30 am daily for breakfast, lunch and dinner. Brydone Hotel Oamaru is located within easy walking distance of the Historic Precinct, the Little Blue Penguin Colony and the beautiful displays at the Oamaru Public Gardens. 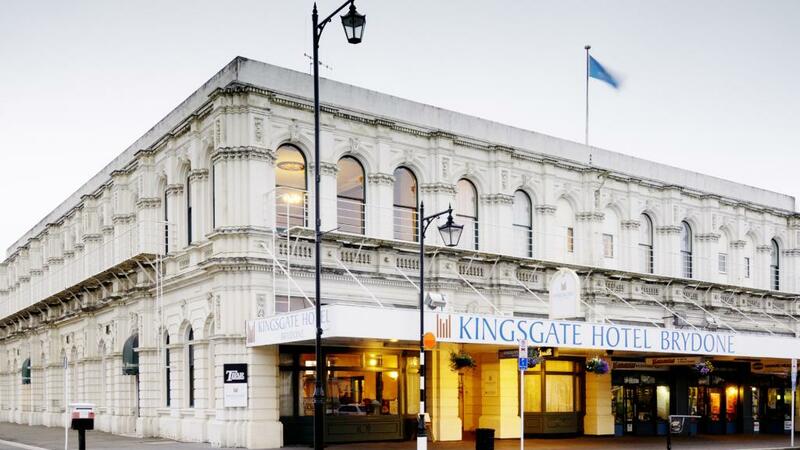 Dunedin International Airport is just under 2 hours drive and the Christchurch International Airport is 3 hours away. The Brydone Hotel Oamaru has over a century of proud history and is the ideal place to stay and explore New Zealand on your next holiday. 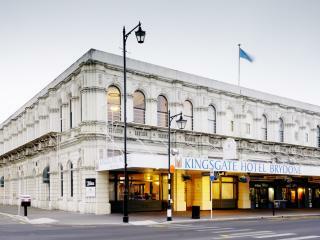 Brydone Hotel Oamaru offers 49 rooms and suites. T-Bar Restaurant: Pull up a seat and enjoy the inviting atmosphere and casual elegance of the T-Bar Restaurant. Open for Breakfast, Lunch and Dinner from 6.30am daily.